Literally. 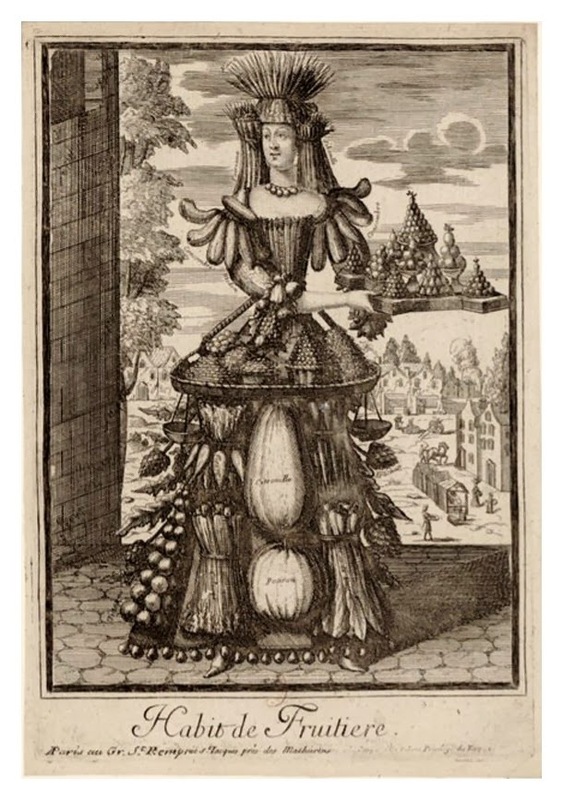 'Grotesques costumes' created by Nicolas de Larmessin (died 1694) included many tradesmen and women. Tools and products of each trade will give a hint on what is being sold that is cooking related, such as the fruit vender. Try to guess the others... Click to enlarge. A mother peeling carrots while the son eats one in "A Family Seated Round a Kitchen Fire" by Brekelenkam, 17th century (in Manchester City Galleries). 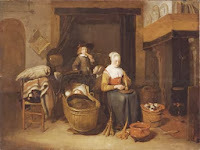 This Dutch painting is among many images at Carrots in Fine Art Works. Thousands of pigs roamed the streets eating "whole joints of meat" from the butchers and refuse from homes. 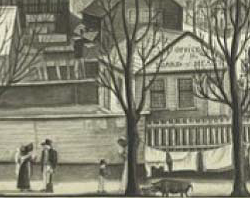 At night they wandered home to piggeries which were removed as Central Park was opened in 1859.